Why Choose The WordPress Platform ? WordPress made its mark as a blogging platform but soon it took over the status of a functional content management system. The continuous support from the WordPress community resulted in the global popularity of this CMS. The functionality that comes with this functional platform has made it one of the most renowned podiums to choose for website development needs. WordPress is available for free, which is one of the major reasons to choose WordPress as your blogging site when you create your website. To a number of people, WordPress is just a free blogging software where content publishing is a cakewalk for the users. However, the features of this software make it much more functional than that. WordPress is equally popular amongst bloggers and online retailers. Latter community adores it for the ease provided when a website is built and the former as a featured packed platform. In this writeup, we are presenting intriguing reasons, enough to answer “why choose WordPress as your blogging site ”?. Robust Content Management System: This platform is powerful as a content management system as it offers the opportunity to users to control their content published over this CMS. Due to its simplicity, WordPress can be used by anyone. It is simple to install and there are a number of free themes available on the platform. These are easy to install, use and customize as per the requirement of the users. In addition to it, WordPress can be utilized to developed attractive e-commerce websites that will help the users accomplish their shopping purposes smoothly. That’s why you should choose WordPress as your blogging site. Search Engine Friendly Podium: WordPress websites filled with the right content have the potential to improve their ranking in various search engine results. Users can easily customize the webpage’s permalink ensuring that the post’s title is incorporated in the URL. Moreover, there are a number of techniques that can further be used to optimize a page for being search engine friendly. Adding your WordPress post to social networks is another technique to help a WordPress website score top in the search rankings. An Open Source Platform: WordPress is an open source platform that means all of its codes are easy to access and customize by anyone willing to do so. The feature provides much room to integrate your own themes, develop your own blog and customize your website’s features as per your requirements. WordPress website owners can do almost anything to offer unique user experience to the visitors. There are greater number of tools to accomplishing customization as required. If you know what to provide, it is easy to offer with WordPress. Use Of Themes And Plugins: Having more than 60 million of users worldwide, WordPress empowers more than 25% of the websites in the world. The platform comes free with exceptional plugins and themes that can further be customized. When it comes to WordPress, there is a plugin for every task you wish to perform over your website. With the help of plugin directory developed by WordPress community, a number of plugins can be used to customize the site. Moreover, there are complex galleries, sophisticated sliders and social media widgets that can also be used to make the most customized website. WordPress Is Free To Use: WordPress comes free of cost, excluding the charge you need to pay for the web hosting services. There are free and paid plugins and themes that can be downloaded and used as per the requirement and the preference. Even being free of cost, WordPress is stuffed with quality features that are worth. Although the platform comes free of cost, but it is priceless. WordPress is exceptional to use either for developing website or to use as a blogging platform. Ease Of Use And Installation: WordPress is easy to install and use. You do not need to learn codes or use HTML tags for managing the content or accessing the website. However, a certain level of knowledge should always be there with you to manage the task efficiently. The good news with using WordPress is that you don’t need to be an expert of a complicated program to accomplish the installation of the website. More to it, posting new comments is also easy when you are working with WordPress. Ease Of Adding Functionality: When it comes to adding functionality, WordPress offers “functionality plugin” to add features over the newly developed website. For any WordPress related issue, there is a plugin available as a solution. These plugins also help to increase user experience. Functionality plugin is just like any other plugin that can easily be found at WordPress plugin repository. The plugin remains specific to your website and won’t be distributed publicly. It is one plugin to customize all the features of the website. A Flexible CMS: When it comes to flexibility, WordPress is one of the most flexible frameworks to work with. The platform is easy to use for adding or customizing things are per the requirement, even by users themselves. One needs not to be a coding expert to execute the task of customizing the website. Because of this reason, WordPress is equally considered by bloggers as well as web developers when it comes to utilizing the platform. Moreover, presence of extraordinary themes and plugins is additional benefit provided by this useful content management system to the users. Where To Get WordPress: Make your own website with BoldGrid the free premium website-builder that comes with your hosting plan. Make your own stunning responsive website that’s powered by WordPress and therefore has more features and functionality than any other website builder on the internet. WordPress has a lot more to offer to the users when the platform is utilized for web development requirements. The platform has a continuous support of the WordPress community that exceptionally helps resolve issues as soon as they appear. The reasons stated here are more than enough to encourage users to opt for WordPress if they are starting their blogging websites or wishing to develop an e-commerce website. In this mobile age, where phones without a touch screen dwindle in number and there are applications for almost everything, it is hard to ignore the incessant growth in mobile and web arena. The evolution of smartphones from the first mobile phone, which was popular as the “Brick”, reflects a great transition in the technology. Back in the old days, the mobile phones were only intended for calling and messaging purposes. However, today, with the inception of smartphones and other Internet enabled mobile devices, it can’t be gainsaid that mobile has become an integral part of the life for most of us (though not all). Analytics and stats suggest that today, smartphones make the much sought after choice for the majority of consumers. Although, to streamline a preferred device from myriads of smartphones, people take the functionalities offered by a device into account. The smart phones amazingly support mobile apps and this is what has made it a viable choice. People prefer mobile apps for a zillion of reasons, including education, entertainment, shopping, enterprise, business finance, to name a few. And, the number of apps downloaded each month by users across the globe is rapidly increasing. While you can observe that there are mobile apps for just about anything, the expeditiously increasing mobile Internet traffic can’t be overlooked. This has engendered businesses to embrace an impressive and quality mobile solution. The organizations who want to scale a notch higher and stand ahead of their competitors, they can’t ignore the potential of an interactive and feature-rich mobile application. They don’t only use mobile solutions to target a gigantic mobile audience base, but also heighten revenue by efficiently promoting their products and services via apps. All these represent that we are experiencing an extremely competitive business market, where organizations (including startup, intermediate, and well-established) are endeavoring to successfully cater to the ultimate expectations of their end-users. For instance, people often face various challenges while using mobile applications for online shopping, these issues must be addressed with an optimal solution. To resolve such issues, businesses often try to boast an innovative and fresh solution that can entice users and help boost the business values. But, with more and more individuals mitigating towards mobile solutions, businesses are struggling with creating a surefire solution that can leverage data security and optimized performance. At organization level – employees consume mobiles mostly for work. The enterprise mobile applications have gained a dramatic popularity in the past few years. It epitomizes a conspicuous transition from traditional desktop to teams that work in harmony via mobiles. Although there are great benefits of working in collaboration, while reaping the benefits of mobile (like better productivity, work on the go, etc. ), there are certain downsides as well. The drawbacks of mobile-connected workforce is that it creates a great risk to the sensitive business information. However, many organizations have embraced BYOD (Bring Your Own Device) approach, but they are quite concerned about the security of their crucial data. On the contrary, the benefits of this approach are outstanding, as it facilitates employees to work from their device anytime and anywhere. This ultimately results in enhanced productivity and absolute flexibility. Earlier, Microsoft Office and email were the things that have empowered business owners to proficiently manage their work and stand ahead of the curve. However, today, there is a slew of mobile applications that ensure a smooth and persistent management of projects irrespective of the size of the organization. Moreover, if one wants to tailor an app to meet some particular target, he can opt the custom app development by hiring professionals. Fortunately, today there is no dearth of mobile app development companies that offer high-end quality services at competitive prices. You can easily seek a suitable one by searching over the Internet and get a requisite application to take your business to the next level. To stand ahead in this wobbly marketplace with digital landscape, adhering a competitive mobile presence has become more than imperative for businesses. Moreover, the tech giant like Google has also shown a green signal to mobile-optimized websites by penalizing others with a poor search ranking. Therefore, businesses are not hesitating in investing more and more to ensure a surefire success in the market with an optimal mobile solution. This has certainly forced them to overhaul their budget plans while prioritize an incredible mobile solution. Mobile solutions is facilitating companies and brands to strengthen their relationship with clients to rivet them and benefit the business. An impressive and intuitive app can help augment a customer base by attracting new customer with captivating deals and retaining old ones with valuable loyalty rewards. It has to be understood that while giving access to business apps, you are not giving your employees a complete control over the sensitive data. However, to accomplish ensure complete security and flexibility, a well-documented API (embracing coherent engagement terms) is vital. If you’re looking forward to psd to mobile app template, then getting in touch with Celin – www.designs2html.com. Currently, she is working with Designs2HTML- Web and Design Development Outsourcing Company. Celin Smith is renowned web developer and blogger at Designs2HTML who loves to write regarding mobile and web applications. Although, WordPress is a popular open source CMS, and a great way to create your own website there are a lot of users who commit common mistakes while developing WP themes. This article will take you through a common blooper and measures to keep it at bay. It is a simple error that has found being made even by expert developers. You might have observed that how the removal of the “color accent” feature of the Twenty Fourteen, a popular WordPress theme has created a lot of fluff among the WP developers. It was used by theme developers to customize the visual appeal of the theme by implementing light colors. However, it has also enticed users to generate worst color choices with light colors, thus, resulting in ugly and poor design of a website. This is not only the case with the color accent feature of the Twenty Fourteen theme, there are several themes that allow users to personalize the look and feel in a desired fashion with a list of color options to choose a color for various elements of a website. Therefore, it would be worthy to throw some light on effective ways that can help users to make the best color contrast choice and avoid ruining the entire appearance of a site. Here, our main objective is to offer some useful tips when you make a website to ensure freedom to customize a WP theme without compromising with the site usability and UX. Let’s decipher a few noteworthy tips that can help you make a better choice for color contrast, while developing from the scratch or customizing an existing WP theme. Sass and LESS are the CSS preprocessors and most of the developers are familiar with. But, some developers don’t know how these preprocessors can help rectify the color contrast. It offers a slew of options to accomplish the task with a flair, here are a few of them. These functions can also be used to determine the contrast ratios and color luminance. Although, Sass and LESS allow one to create CSS for customizing color contrast of a WP theme, for facilitating users to personalize the theme with a list of options will require an advanced approach. And, one of the ideal solutions to accomplish this is to pack these CSS preprocessors within a theme. There is a better approach is to this is by offloading CSS compilation into a plugin, one of the plugins that use this principle is Jetpack. There is no doubt that Jetpack is a prolific WP plugin that enables users to efficiently customize their websites. Among various resourceful features, the custom CSS editor is one of the amazing feature with which developers can proficiently edit the code. Moreover, the Jetpack Custom CSS comes complete with LESS as well as Sass preprocessors. 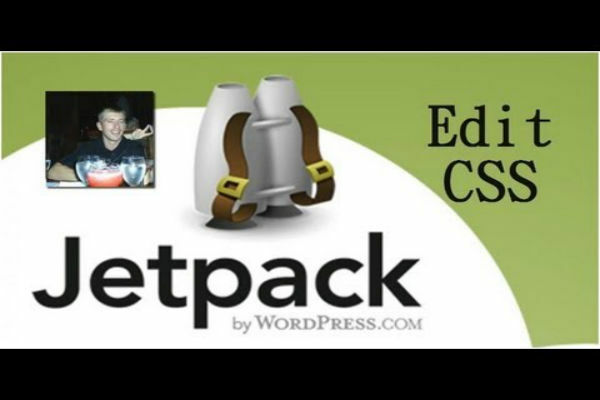 Since, most of the users are not aware of this feature of the Jetpack’s Custom CSS module, they are not able to reap the benefits of this capability. Due to this feature, all the requisite PHP libraries are already included in this theme and these libraries can be accessed via certain specific function, that is, jetpack_sass_css_preprocess() function. $css = jetpack_sass_css_preprocess( $sass ); // boom! With this code, it is clear that the $accent_color variable (that is defined by users) can be implemented in the rest of the Sass code. Let’s have a look at the example that use this variable. The Sass code can be accessed in a number of different ways and is completely a matter of personal preference. It can be either saved in a PHP file as a string, used by implementing the wp_remote_get() function or by making the query to the file system for the genuine Sass file. The compilation of Sass and LESS can consume a little time and take more time when a mathematical function is used. It is, thus, advisable to think twice and work with optimal precision while handling such functions. Another alternative is to latch on to a hash of color choice, if possible, the style sheet version and cache the compiled CSS in the theme mod. You can update the cached entry if any change in the colors is observed. Sass offers colossal resourceful features that can help tinker with the color contrast without leaving the astonishing look and feel behind. While customizing the color contrast of a theme, you can efficiently accomplish the task and deliver a usable and remarkable design by taking the aforementioned points into account. Rick Brown is a veteran iPhone application developer for www.mobiers.com. In case, you are willing to dig-out more information about the related services, get in touch with him. Does Your Website Look Good Everywhere? When you create a website think responsive design. Being a web designer I’ve taken up a lot of roles in the past few years. If you too are like me and possess an incredible amount of expertise in front-end/back-end development, UX design etc., then you’ve reached the right post. Here, I’ll be making you familiar with one of the finest trends among designers i.e. merging the responsive design technique for developing sites/apps which cater to both, desktops as well as mobile devices. As you read through the paragraphs within this post you’ll get to know about the intricate balance between mobile and desktop browsers. Irrespective of whether you want your site to gather the attention of desktop users or want to make it reach out to the mobile users as well, it is essential for you to pay special heed to typography and digital media. Talking about typography, you need to select it in a way that every piece of content included on your site can be easily read and understood by the visitors. Then comes the media. Here, you need to make sure that all the right kind of media files comprising of embedded videos, photos, page graphics, slideshows etc. have been placed appropriately. When merging a single website for different screen sizes, you need to have fluid content. You’ll have to re-size your images and typography for making them fit into your screens and easy-to-comprehend for the site/app users. One of the best ways of handling media on a website is to start with the mobile-first design approach. As per this, you need to determine how the chosen mobile layout would adapt to fit the content that you need, followed by scaling the same to a much larger dimension. Designing a site/app while keeping the consistency factor in mind is perhaps an excellent approach. There are very less chances for an individual who’s accessing a site via his/her iPhone to switch over to desktop for resuming the site browsing. However, as a designer, you need to ensure that the site designed by you is equipped with a clean and easy-to-navigate interface. By maintaining consistency throughout the website, you can easily do away with any chances of confusion that may crop into the minds of site visitors. 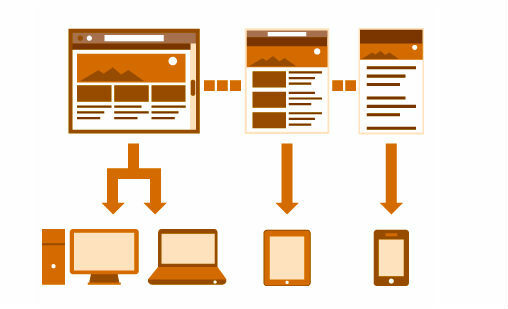 Every responsive website has some level of fluidity associated with it. To put in simple words, at different viewpoints, a responsive layout is being broken down into multiple page content sections which are related to images, sidebars, fonts, headers or any other design element that affects the horizontal width of the page. All these different viewpoints are also called breakpoints. Since all the breakpoints are being created in CSS, you can easily opt for hiding a sidebar after a specific width value. Additionally, you may also opt for resizing the remaining elements which have been placed on the page. Another thing that needs to be noted here is that while sketching the project wire-frames, do make it a point to imagine how your site would break down to individual breakpoints. Navigation is regarded as one of the most crucial responsive traits of a website. A viable means of using adaptive navigation in your site/app is to re-size the link text in such a manner that the smartphone users can easily tap the links so as to reach different locations within the site/app. As a web designer, you can easily pull of the adaptive navigation effect under a situation where you don’t require a wide collection of links. Instead you can choose to utilize the hamburger menu which is already in use by hundreds and thousands of native mobile apps that have been designed for iOS and Android mobile platforms. Although forms aren’t needed for every website, they have indeed become a common feature of every online portal that we visit over the web. With the Simple Contact form being a common feature of every website, you need to be careful about designing the input fields, ensuring that they are fully supported on all touch-screen devices and don’t overlap each other. Moreover, you also need to pay attention to the accurate placement of elements such as check-boxes, radio-buttons, date pickers etc. for the different forms placed all over the website/application. When designing forms for responsive website, make sure to double-check for any bugs in terms of looks and functionality. You need to make proper arrangement for use of the right responsive design techniques that would work well for designing forms that function properly on all desktop and mobile browsers – with just a single set of HTML/CSS code. Here’s hoping the idea of merging responsive design techniques for desktop and mobile screens will set you on the right path towards creation of flawless websites and applications. Lucie Kruger is an application developer working with Mobiers Ltd, which is the leading Android app development company. Visit her website – www.mobiers.com/services/android-development. She provides concrete information on latest mobile app development trends. Are you thinking of creating your own website? Then you should read our article on developing a responsive website. We are living in an era of mobile and therefore designing for it is all what we need to bring in some honest bucks. Developing a responsive website design is a term that has been gaining a lot of traction these days, and playing a significant role in providing a pleasurable browsing experience on mobile. 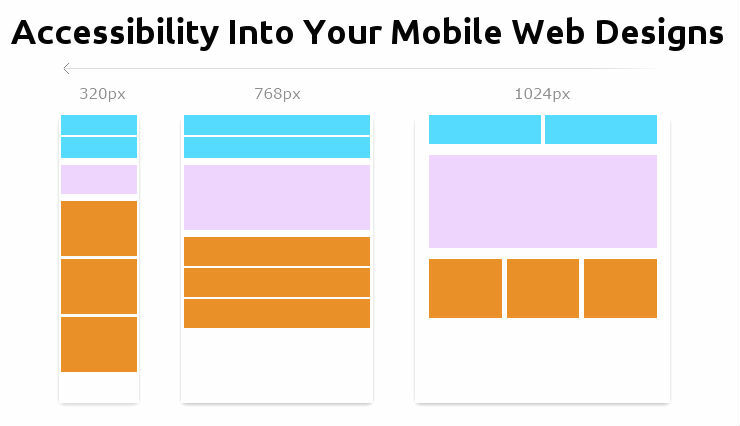 Check if your site is mobile friendly. As smartphones and tablet devices are being launched rapidly, an interesting shift can be seen in the way they have bought the world at our fingertips. Developing a responsive website design has emerged as a decisive factor to fulfill the modern needs and expectations of mobile audience on the go. However, designing a responsive site isn’t an easy job at all. There are a lot of factors one needs to keep in mind to avoid making pit falls and poor design choices. In this post, I have compiled a list of some key points that can provide a road map to create a highly engaging responsive design at the time of either developing mobile application or a full-fledged responsive site for your clients or customers. If you are designing for mobile, you need to think and move beyond from the conventionality that makes our design look fragile. Prioritizing elements and content is extremely important if you want to raise above from the clutter. Vital content is requisite for both site owner as well as visitor. It is what makes a website look legit and commendable. Simply map out the order to which your content should appear on each page of your website. It’s not that tricky to achieve all you need is to explore some basic facts that ultimately help you register a presence in the mobile web. The most fascinating thing about this website is its placement of content that automatically gains importance. As the width becomes narrow, the “DONATE” button takes the center position along with the “Log in” and “Create Account” button. “Email” and “ZIP” forms also draw our attention. Also, it’s worth noticing the blend of both emotional and practical elements in the form of pictures and words. 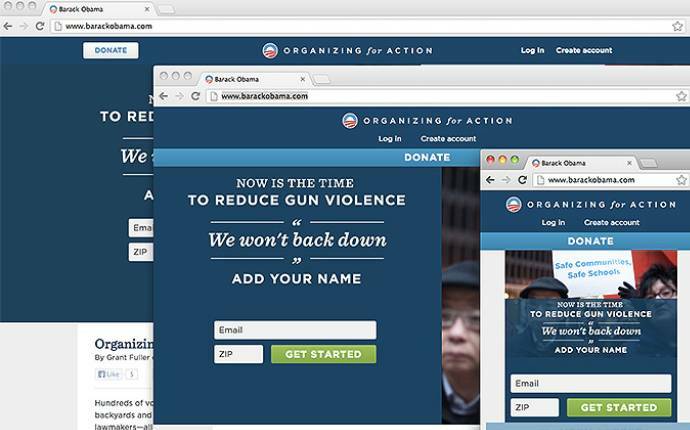 The word “I’M IN” creates a sense of zeal, and on the top of it, the overall website stays true to basic designing principles and collective efforts to make the his campaign successful. 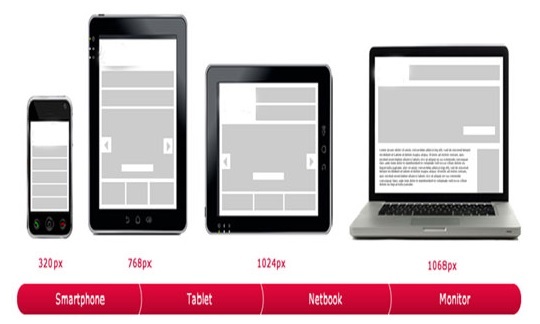 A great responsive design must be able to make its content resize or change its position according to the screen size. This is one of the key considerations of a successful responsive design – and it can be daunting. You should start thinking about which content should stay next to each other when viewing on both desktops as well as mobiles. You can take the help of the concept of breakpoints and grid based system. Breakpoints are those points at which your website content should be able to respond to ensure a pleasurable user experience. This is a nice way to divide your content and make the information easy to consume. If you want your responsive web design to standout, simply stop using flat usuals and Photoshop comps right away. They do nothing apart from making the whole process complex. Though they are good at giving us the “idealist” view of how our responsive design should look like, but in most of the cases they fail to produce the exact end results. No matter whether it’s about padding or spacing the elements, executing typefaces, and the quality of imagery, the final results are almost contrary to what we have been desperately hoping for. The reason why I am not favoring visuals is that they are too good to look at. The whole bunch of flawless images, spectacular typography, the use of drop shadows, together give the design a grandeur status. These are the things that elevate our client’s expectations and when we not meet them things go wrong. The best way of fabricating a responsive design is to first go for prototypes, using HTML & CSS values. This is something which will assist you in producing the desirable outcomes, without letting down your client’s expectations. Present these prototypes in the browser and show the client how the design actually looks when rearranging at different widths and devices. You can also opt for some high-end tools such as Macaw Adobe Edge Reflow Webflow and more are quite helpful to perform such tasks in the quickest possible manner. These tools will make your more productive and streamline your workflow. By defining CSS class you need to make only a single update and the change will reflect across all the pages. Also, it makes testing a lot easier as it can be done at various screen sizes simultaneously. The trickiest part of designing a website is that it’s almost impossible to predict experience of each user, especially when there is variety between devices. Your target audience can use mobile devices and browse website in any way they like. In fact, there are chances that they could be using televisions too. Your should should be universally usable and capable enough to pique your users interest and give them reasons to stick around it. To achieve this goal efficiently, make sure you have a significant knowledge of touchscreen and interactive elements within an interface. Keep their size optimum enough for a better experience. Also, avoid using hover states on mobile devices. Navigation is yet another crucial and challenging aspect of a responsive design. Handle it carefully to give your users directions to explore your website. You can make use of jump links, drop-down menus, and off-canvas methods to make your navigation stand out. It’s impossible for you to fall short of ways and techniques to build a compelling responsive design. I have listed those which I personally find critical for an impeccable responsive design. Mobile web design. There’s no doubt on the fact that mobile usage is increasing steadily and creating a mobile-friendly website has become a necessity than a mere web design trend. With an incredible population of consumers relying on mobile web for researching and making purchases, it has become imperative to ensure a flawless mobile presence for your business. If you are a designer who’s been associated with mobile website development since long, and are on a look out for ways that can aid you in improving the usability of your mobile-friendly sites, then this is a post just meant for you. Here, I’ve covered a list of 7 mobile web design manipulations which when performed seriously can effective hone the usability of your simple and complicated mobile-ready web portals. 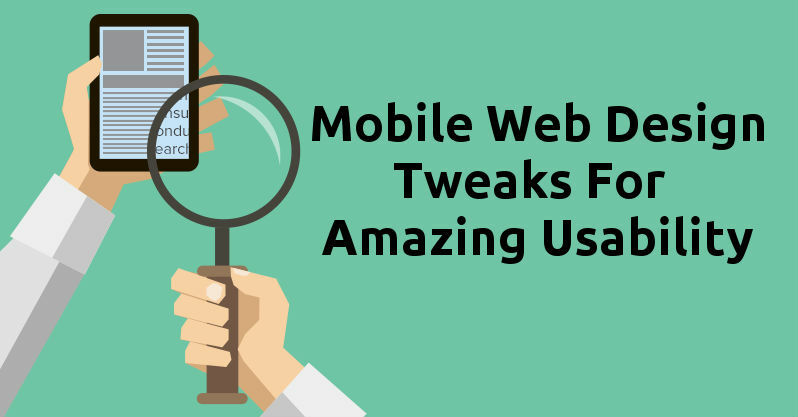 So, let’s get straight to these mobile web design tweaks! It can be really daunting for your users to go through lengthy sections of text placed on multiples pages within the site. Therefore, it is recommended to get rid of all low priority content that’s there on your web pages and opt for sticking to a single column of text which wraps in a way that the user doesn’t have to keep scrolling in a horizontal direction. The world of mobile devices has a rich collection in terms of designs, screen sizes and resolutions. As a mobile website designer, your aim is to strike the right balance between the sufficient screen width and the size of mobile screen used by the targeted audience. 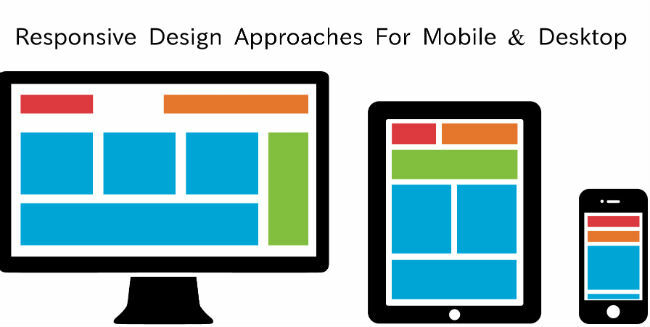 Ensure to spot the right specification of contemporary mobile devices and use it for designing your mobile website. You need to face the challenge of displaying the website appropriately across a variety of screen sizes without the need for recreating the web pages for different mobile platforms. A time-tested technique of converting desktop site design into mobile-compatible format is to simplify things in the best possible way. By keeping the file size and load time to a bare minimum, you can effectively ensure maximum visitors for the website. Since some wireless connections are still relatively slow, designing a mobile site that loads at a lightening fast speed is a good decision. As one of the most prominent usability considerations for mobile web, you need to focus on simplifying the design, layout and navigation for your website. When it comes to choosing the placement of your design elements, special attention needs to be paid to keeping things simple. You can use from a range of tools available with CSS3 that can allow you to perform minor as well as major modifications to the designs. Some impressive tools include: drop-shadows, rounded corners, gradients etc. Unlike the case of desktop versions of websites, the ones designed for mobile devices come with inconvenience of inputting text. Therefore, I recommend you replacing such input areas with a list or radio buttons, thereby allowing users to choose the option(s) in an easy way. Here, you also need to keep in mind that the mobile visitors for your website won’t have access to the conventional mouse and keyboard and hence smaller the text entry fields, better it would be for them to use and explore your website to the fullest. The same thing applies to the website URL as well. The shorter the URL, better it would be for a mobile internet surfer to reach your website quickly. As a subset of website usability, accessibility makes your mobile web design stand out from a crowd. So, by offering utmost accessibility to your design, you can easily add excellent amount of usability into your mobile website. For instance, you can allow users to toggle between options and hide all the widgets and features which are rarely used by the visitors. In addition to this, you can opt for avoiding the filling up of long forms- an activity that is actually hated by website users. By presenting the website content in a legible format, you can easily make the visitors focus on the message that the site owner wants to convey. Typically, a majority of popular mobile browsers don’t support pop-ups and if some of them do, they actually have a very narrow space to display the same. Hence, it is advised to stay away from them for your mobile-friendly website. Moreover, also ensure that your web pages don’t refresh automatically. This is necessary to avoid unnecessary loading of the device memory. Allow users to refresh the content manually or switch on the related option in their device’s settings section. Make sure to provide your users a link that can enable them to switch back to the full website that’s otherwise accessible to the desktop users. By doing this, you can enable them to view other vital parts of content and features incorporated within the website. Hopefully this post would have helped you gather insights that would prove beneficial the next time you embark on an innovative mobile website design venture. Addison Cohen is an application developer for Appsted Ltd, which offers the high end mobile applications development services. He loves sharing latest information on the latest mobile technology. Want to backup WordPress – Unexpected events can happen anytime and your website is no exception to this. In order to protect your WordPress site against a wide range of malware attacks, server failures or accidental data losses, it is absolutely essential for you to have a disaster recovery plan in place. You should always backup WordPress. This is exactly what I’ll be looking into, in this post. I’ll be offering you handy insights on three tremendously effective ways of backing up your WordPress files in a stress-free way. So, let’s take a closer look at these three methods and how you can backup WordPress. If you don’t have a website and would like to create a website using WordPress in a few easy steps you can click here. There are ample number of plugins which allow you to backup your WordPress database and files in the most convenient manner. Backed by highly intuitive interfaces, these plugins guarantee automatic backup of your WordPress site/blog, without the need for you to indulge in performing backing up processes manually. Two popular WordPress plugins used for backing up WP sites/blogs include: VaultPress and BackupBuddy. VaultPress is a WordPress plugin that creates complete backups of WordPress installation, thereby storing the WordPress files on secure servers, followed by offering on-demand site restores in case of an emergency. Impressive add-ons available with VaultPress include: 30-day backup archive, malware scanning, full backup archive and many more. Just like VaultPress, even BackupBuddy takes the complete backup of your WordPress installation in addition to providing automatic restores. Some impressive features available with this WordPress plugin include: access to offsite storage, malware scanning, ability to send backups to Dropbox and many more. Automatic backups are one of the most crucial advantages of managed web hosting. It is interesting to know that even some of the most popular shared hosting service providers such as DreamHost and Media Template are offering premium packages for users who are inclined on managing the hosting for their WordPress website/blog. Prior to going ahead with managed WordPress hosting, it is absolutely essential for you to determine whether choosing the same for your website will fetch you the desired results or not. While choosing premium hosting for your WordPress website, make sure to opt for a service provider who offers WordPress database and file backups as a part of the entire WordPress hosting service package. If you’re operating multiple WordPress websites and have been struggling with handling updates for the same, make sure to opt for WordPress management tools like InfiniteWP, WP Remote etc. These tools provide a complete backup of your website’s database and files. As a busy WordPress administrator, these WordPress management tools allow you to enjoy the automatic backups for multiple websites and blogs. If you are a WordPress blogger with a limited knowledge about FTP, then you might find it tedious to use the website backups in case of an emergency. Specially designed for the WordPress developers and other tech-savvy website administrators, these WordPress management tools need to be used only after having an in-depth understanding of your expectations. Therefore, if you’ve just entered into the online market and are keen on staying on top of multiple WordPress installation, the apps’ integrated backup tools will help you with the same. Likewise, if you just have a single website and want a perfect backup solution for the same, then using a suitable WordPress backup plugin like BackupBuddy or VaultPress will do the job. So, Which One Will You Opt For? Irrespective of the method that you choose for backing up your WordPress website, it is quite essential to ensure that all the files and folders for your website are stored at a secure location, away from the threat of hackers and spammers. If you’re opting for the plugin approach, then make sure the one you choose allows you to backup your entire WordPress installation, permits you to download a local copy of your backup and is actively supported by the latest version of WordPress. Last, but definitely not the least, the WordPress management tools and managed hosting solutions will have to be scrutinized before being chosen for backing up your WordPress site/blog. With such handy options available for backing up your WordPress website/blog, I’m sure you won’t fear the idea of storing an appropriate backup of all the files and folders for your web portal. Just follow the steps and you can relax about disaster management for your WP website. As a certified top-notch developer at OSSMedia Ltd, Edward Jones has an impressive expertise in WordPress & he provide concrete information on wordpress related tips & trends. If you need to hire WordPress developer then simply get in touch with him via his Twitter and Google+ handle or website www.ossmedia.com/hire-wordpress-developers. Having gathered a total of 5 years of experience in WordPress Development, Edward has delivered numerous projects within the allotted time-frame. WordPress is a fantastic CMS platform that works well for creating almost any kind of website. 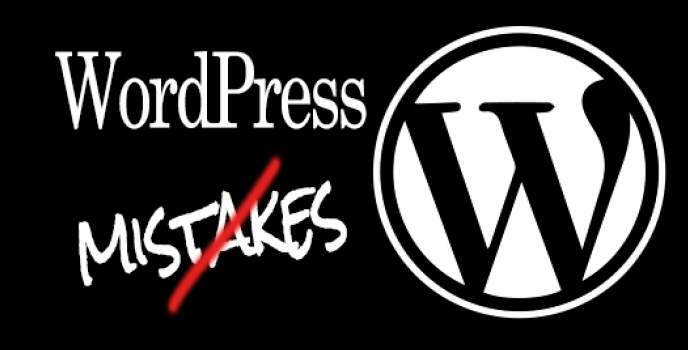 Here are the 5 most prevalent WordPress mistakes and how to avoid them. The platform is praised for its advanced updates, rich features, amazing collection of themes and plugins, and the fact that it is absolutely free to use. However, for those who run or own a WordPress powered website often make some mistakes which can have adverse effects on its overall functioning. In fact, some of these mistakes are made quite frequently, which ultimately lead to a number of security lapses that affect your blog in the long run. In this post, I am going to list some most common slip-ups that a lot of WordPress mistakes users commit. They are mainly related to themes, plugins, and other WordPress functions. When you create your own website remember to make regular backups of your database. It is extremely crucial, lots of people don’t back-up their sites and could have problems when something goes wrong. There are so many entrepreneurs and website owners out there who have their own terrifying stories to tell about not creating their website back up, resulting in the lost of years of hard work in just few seconds. When you build a website make sure you also find the time to back-up all your files, rather be safe than sorry. One must pay attention on creating and securing regular backups of their website. Having a proper website backup is essential as crashes and hacking attacks can happen any time. For a piece of mind, makes sure you have three or four backups of your website, just in case your primary backup gets corrupted. Spam comments is a big issue, especially on WordPress sites. Comment spam can be so infuriating for website owners as it has negative effects on a website reputation, its credibility, and search engine ranking. Failing to see and monitor them is a big mistake, however, you can fix this error easily by following some methods. First, you need to create a setup that filters all the spam comments. Secondly, you can send your comments for moderation and decide which can be published and which cannot. There is a setting in the WordPress dashboard called “Discussion Panel”, which allows you do this task easily. Additionally, you can also use a well-known plugin called Akismet that is best out there to get the job done. You simply install it and activate the plugin, and leave the rest of the job on it to keep the comment spam at bay. Unquestionably, widgets are the coolest part of WordPress. Using them you can easily instruct your site to perform any specific function you like such as displaying a list of recent tweets, posts, or anything that matters. However, if not used wisely, widgets can also give a messy appearance to your website. They can easily clutter up your sidebar and footer area, which can sometime annoy your visitors. So, it is recommended to keep them simple and minimal, so they look easy on the eyes. WordPress designers may come up with a visually stunning website, but their skills might be restricted when it comes to performing back-end coding. WordPress makes this simple for them by providing a number of plugins to help them expand the functionality of their website. However, when you install and activate too many plugins, it can lead to the downtime of your website and substandard performance. It’s been observed that people become obsessed installing plugins which they rarely use. In fact, some plugins can also cause security issues. Plugins backed by inferior coding could leave a website open to attacks with just a single click on the Activate link. That is why it is advisable to only install required and reputed plugins. Deactivate those plugins which you don’t need any longer. And, also make sure that the plugin installed is compatible with the current version of your WordPress site. It’s worth noticing that while uninstalling any plugin, it makes more sense to visit the plugin’s author site, to see whether there are any specific instructions for uninstalling the plugin. Removing a plugin inaccurately can cause multiple problems. WordPress themes are great when it comes to improving aesthetics of a website. Website owners use them for different projects and they can be very helpful in increasing the conversion of a website. Some high quality themes include features like custom settings, ratings, etc. Using these settings would require you to create new tables or fields within the database. Just like plugins, the case is same with the themes. When you install too many of them, you end up having a website that looks messy and slow. Branding is another factor which can influence your decision of using too many themes. Businesses should work hard to establish their brand uniquely. They must use a theme that compliments their business and their target audience. And there we have it all. Mastering the WordPress isn’t an uphill battle if one use it wisely. Paying attention to some little bit of details can surely help your website leg up above the competition. 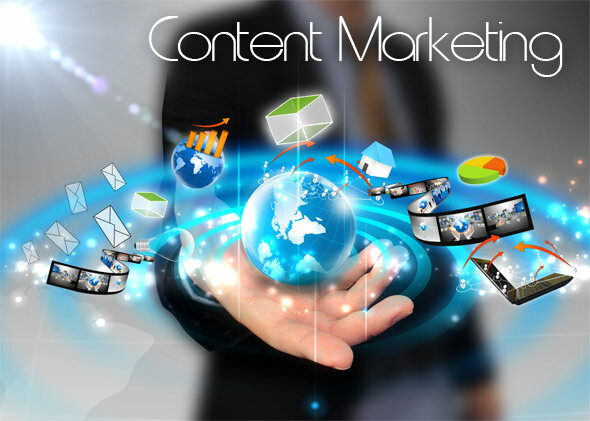 Content Marketing is one of the sure shot ways to gain success in the online world. Content Marketing not only provides your user with relevant content but also keeps your brand alive and active. With search algorithms evolving on a regular basis, if something that has only gained more importance, it is content marketing. It has become an inevitable part of SEO strategy to win more organic traffic. So, if you are planning to build a website you need to plan your content marketing strategy in 2015. What should you keep in mind so that your content marketing efforts are effective? Points to take care of while defining content marketing strategy. As is done in any business on ground, market research is the foundation of successful business plan and hence very crucial. It can make or mar all your efforts invested. Right keywords needs to be chosen and used in optimized way. Spend considerable time on keyword analysis so that you target the right audience with right keywords and don’t need to change later on. Think of whom would you like to target as your new potential customers. Set quarterly targets and make a note of how will you achieve your goals. Determine to publish a definite number of articles and manage your time accordingly. The focus here should be on numbers as well as quality. Make sure your content serves purpose that is in line with your goal. If you are creating content to support your SEO aims, a big part of your implementation strategy should be focused on optimization such that our content will be discovered via search. You should write on topics derived from actual search demand. The core component of good SEO is user-friendliness. Hence write content that actually delivers value to user. Provide useful links and resources while also being technically strong at SEO. Keep an eye on how it is going. Ask yourself questions like is it going according to plan? Are we on track? Are we achieving weekly milestones? If not, what are we doing to succeed? Keep working on continuous cycle of performance improvement using search analytic s. A high degree of introspection and continuous monitoring of progress is what required here. The more you write, the higher are your chances of getting discovered. Update your blog regularly and try to reach maximum number of people. Write original and fresh content on hottest trends in your area of expertise. Businesses can gather insights on latest buzz among their customers and mold their content writing campaign accordingly. Build loyal customer base by replying to readers’ queries and comments. With continuous growth of popularity of content marketing among marketers, it is likely that there will be surge in usage in multimedia. By publishing on Slide Share, it is highly probable for content to be ranked higher in Google. Emphasis will be on interesting videos, pod casts and graphics rich content in 2015. Thus, focus will be on providing meaningful data to users with innovation presentation of data. Once you finish writing content, all you need to do is to publish on major networking sites about your latest post. Spend time on social media and regularly post updates. Status updates, tweets and image tiles not only save your time but also keeps your brand buzzing in brains of your target audience. For local businesses, content written for specific geographic location will get increased attention. People are likely to read an article of an author who stays in same area or city as they do as they tend to believe that they can understand, address and resolve their problems better. And last but not the least. Review content marketing strategy of 2014 and find out what worked and what didn’t. Perform in-depth analysis of existing plan and consider feedback you got from your visitors to plan your content marketing strategy for 2015. With world of SEO and social media evolving dynamically, it is important to consider content marketing in a supporting role. Draft your content marketing strategy for 2015 today and tell us what new things you are going to try. Noel is a website consultant and internet marketing professional working with small businesses. Offering a variety of business services like mobile app development, SEO, website design & development in India. He is committed to helping businesses succeed in an increasingly technological environment.